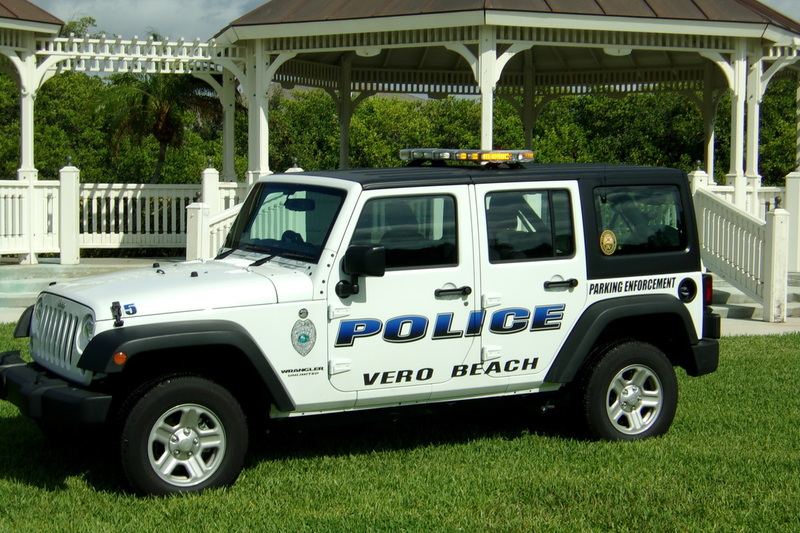 ​The Patrol Division is responsible for policing approximately 17,000 residents and the 13 square miles which makes up the city of Vero Beach. The city limits are broken into three zones, which consist of east, west and beachside. The Traffic Enforcement Unit is responsible for enforcing all traffic related issues within the city limits of Vero Beach. 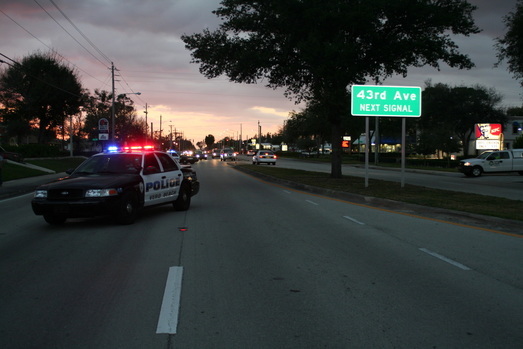 The unit utilizes specialized traffic equipment such as laser radar guns and the computerized speed enforcement trailer. The unit is also responsible for investigating all traffic accidents and related fatalities within the city. The Animal Control Officer is responsible for the enforcement of all city ordinances regarding domestic and exotic birds and animals. It is also responsible for maintaining a low stray animal population. The Parking Enforcement Unit is responsible for enforcing state and local parking laws. This responsibility includes both the mainland and beach-side communities within the corporate city limits of Vero Beach. The Critical Response Team (CRT) is a highly trained group of ten officers, all of whom are expertly proficient in the use of specialized tactics and sophisticated weapon systems. The CRT was created to solve concerns becoming more prevalent in contemporary society. Operating under the direction of the Captain and directly supervised by Lt. Matt Monaco, CRT services are used during activities seen as high risk or necessitating extraordinary levels of expertise to successfully manage. 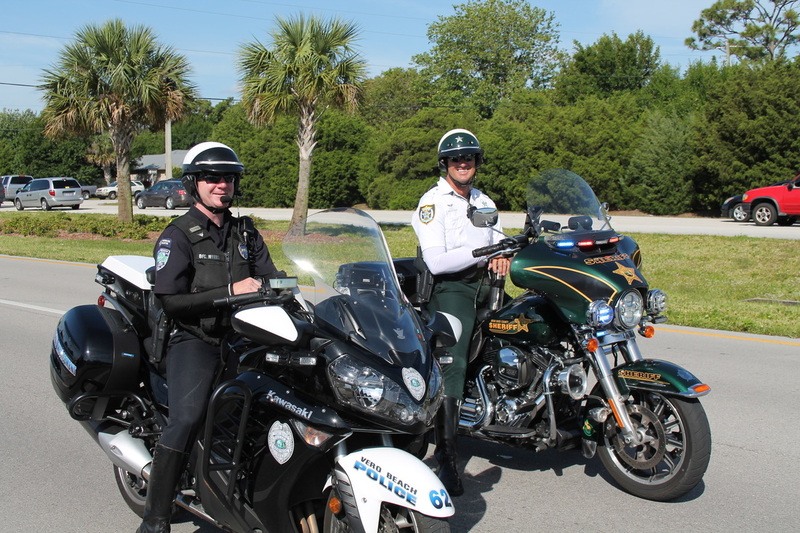 The Vero Beach Police Department Motor Unit current primary function is traffic enforcement. This unit is also responsible for traffic crash investigation, escorts, parades, and other special events. 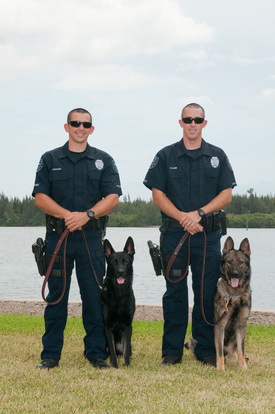 The Vero Beach Police Department currently uses 2 specially trained German Shepherd dog to work alongside their handlers. Our K-9 officer and their partner attended over 400 hours of specialized training in patrol work which allows them to be used for various duties. This officer operates a 20 foot police boat and is responsible for the enforcement of various state marine and boating laws, promoting water safety, and marine life preservation. 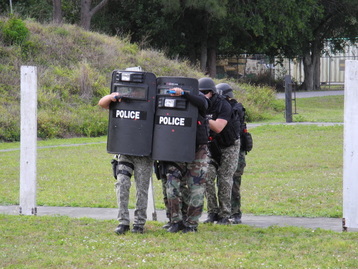 The Vero Beach Police Department Detective division is comprised of two general areas of expertise. This unit is responsible for the investigation of all crimes including criminal mischief to homicide. It is comprised of four detectives who handle all cases assigned for investigation excluding financial crimes. Cases involving financial or identity theft are investigated by a specially trained investigator. This unit is primarily responsible for "vice" related crimes within the city limits. The Crime Scene Unit consists of highly trained technicians, all of whom are expertly proficient in the use of specialized equipment and procedures associated with forensic identification based techniques. The CSU was created to address concerns that have become more prevalent in today’s society. The Property and Evidence technician is responsible for maintaining and ensuring the integrity in the chain of possession. This information is maintained in a computer data system, that includes cases that range from simple vandalism to homicide. 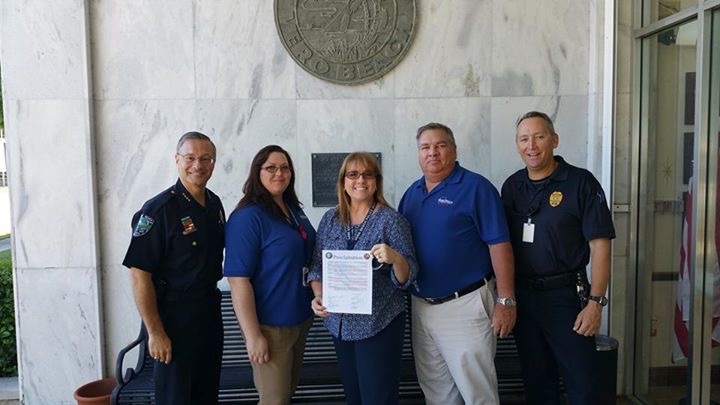 The Professional Standards division keeps the police department connected to the community. Professional Standards encompasses emergency and non-emergency communictions between patrol and the citizens. It provides community outreach programs and supports patrol with intelligence and evidence gathering from many areas. The communication Division is known as the heartbeat of the police department. This division is comprised of 10 full-time communications officers. These officers are responsible for answering citizen calls through the 911 and non-emergency phone systems. These calls for service are then dispatched to road patrol officers, or transferred to detectives, the administrative staff, and civilian staff as needed. The Records Management section consists of two records clerks who annually process thousands of documents that pertain to many facets of police operations. These reports are correlated and disseminated to various agencies and divisions throughout the department, county, state, and nation. The ability to retrieve information on past crimes is vital to police officers. Traffic citations, crime reports, and crash investigations are among the numerous items archived by the records management personnel. 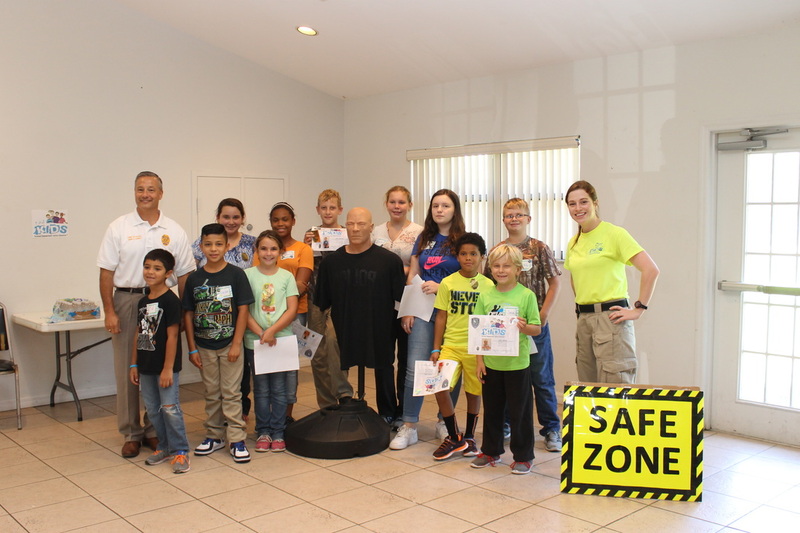 The Vero Beach Police Department teaches the D.A.R.E. program to 3 area schools. Each ten-week course culminates with each student writing an essay where they express what they have learned from D.A.R.E. and why they will remain drug, alcohol, tobacco, and violence free. Each class then participates in a graduation ceremony where friends and family celebrate each student’s decision to live a healthy lifestyle. The Community Services Division is responsible for crime prevention seminars and organizing neighborhood crime watch services. Community Services also hosts several community events each year, which promote safety tips and crime prevention tactics. The Information Systems section is responsible for maintaining all department electronic hardware and software systems and information security. It also handles the training of all department personnel involved with the usage of the various applications and devices that the department uses from day-to-day.